Allen was born near the small community of Leroy in Vermilion Parish, Louisiana. At the age of six months, Allen's parents divorced. The family of eleven children and their mother moved to a rice farm northeast of Kaplan, Louisiana. This area is known as "Meaux" because of the nearby school by that name. At age six, Allen entered Meaux High School. This was in 1942 during World War II. Due to the fact that Allen's parents were French speaking, that was the only language Allen had ever heard. Much to Allen's disappointment, the only language he knew was French and it was forbidden at his new school. He worked his way up to school club president and parish vice president. About that time, Allen's mother Louise remarried. She hit a good one, his name was Etienne Trahan. This was a good thing, because Louise had seven children left in her care, the four oldest were on their own. During his high school years, Allen became interested in public speaking with the 4-H Club and Future Farmers of America, winning some state contests. In September of 1956, he enrolled at SLI, Southwest Louisiana Institute in Lafayette, in the College of Education to become an industrial arts teacher. In 1960, after completing 85 hours of credit, He was drafted by the Army. After four years of service, mostly served overseas, he returned to civilian life. Allen then pursued his life long dream of becoming a cabinet maker by working for Top Wood Work of Lafayette. Then, on January 29, 1969, he opened his own wood work shop. Everything went well in the shop until the oil crunch of the 1980's. Everything was in a depressed state as far as home construction was concerned. During the month of October 1980, the chance that Allen had hoped for came up, that is to become a member of Toastmasters International Club. For the next twelve years he was an active member of Toastmasters earning the "CTM" and "ATM" designation also placing In in French International Toastmasters Contest. Due to the sluggish economy, Allen went to work for the Woodman of the World Life Insurance Society. This he did from 1991 until 2002 when he retired. 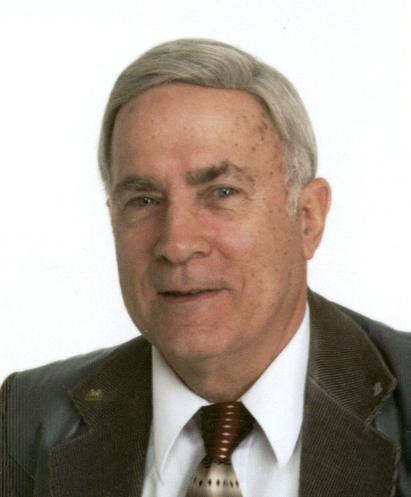 During his hitch with W.O.W., he worked his way up to Lodge 714 President, then he gave it up to become field representative which he did until his retirement in 2002. During the 1970's and 80's, Allen joined a hunting club in the Atchafalaya Basin. He spent the last four years of club duties as president. That was an enjoyable time. In 1980, Allen founded the Cabinet Maker's Association of South Louisiana and served as president for three years. In 1987, Allen became a volunteer tour guide at the Acadian Village where he met people from all over the world. He also had his own touring agency, "Allen' Experience Tours". In 1997, Allen put out a CD of seventeen French jokes. On 9-11-2001, Allen started volunteering at Our Lady of Lourdes Hospital in Lafayette, Louisiana every Tuesday morning. After being co-host of a live weekly television French program for several years, he took the reins in 2005.